Versatile, sturdy and reliable on all kinds of trail and weather conditions, these boots are wide enough for your favorite wool thick socks. 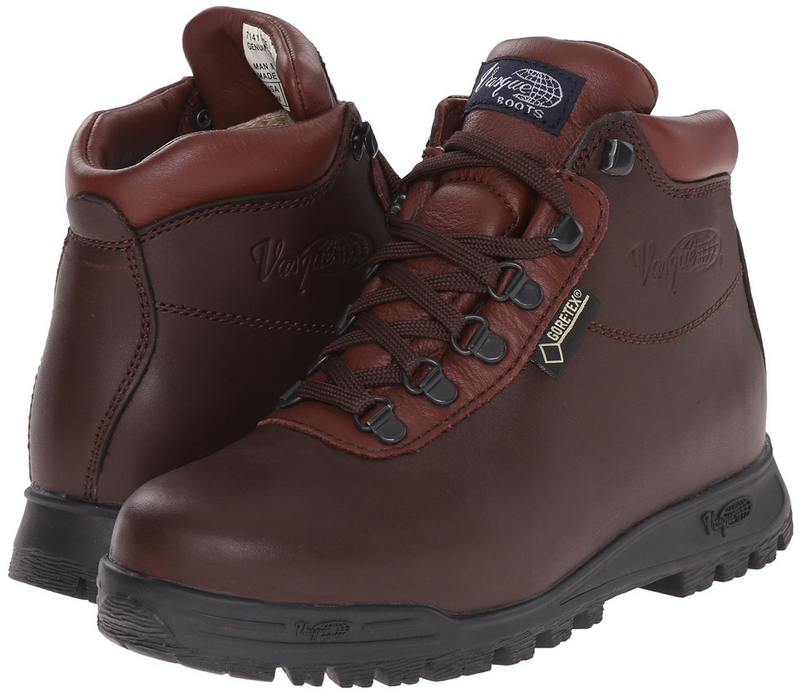 They are waterproof, have a classic vibe and keep foot blisters away. Long lasting and comfortable, these take good care of your pocket just as well. 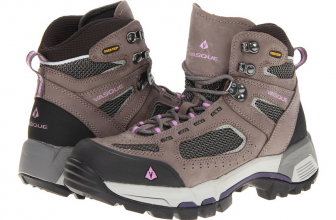 Finding great leather hiking boots for women? Checked! I had been trying to find a good pair of leather boots for a good while when I bought these boots (two years ago). 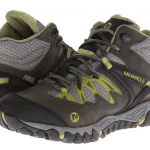 There are plenty of leather hiking boots for men, but it seems that leather women’s boots are difficult to find. I liked these boots from the very first time I put them on. Even though they needed some time to break in (but it’s normal for all leather boots), they are very comfortable to say the least. 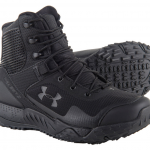 The construction of the boots is very good, sturdy and I am able to wear them in any weather conditions: rain, snow, muddy trails. I use orthotic inserts and these boots are wide enough to give space for that and not lose any comfort either. Thick, warm wool socks are also good to wear and the boots fit very well even with two pairs of socks. The size is not true, I went down ½ a size and they are a perfect fit just like this. The boots are waterproof and I keep them in good shape with some leather conditioner; all leather boots need some proper care if you want to have them around for longer. The classic look really got to me and the nice burgundy color matches all my wardrobe. The boots not only give me comfort for the entire day at work, but also confidence- I work in a place with cement floors and I didn’t slip once! Not even once these boots gave me blisters or soreness the day after! I would have liked these boots to be true to size… it was quite a challenge to find the right size. As I read, these boots used to be made in Italy and had greater quality ten years ago. They are made in China now and they don’t raise to the same standards anymore. I wouldn’t know, but I think they could have been better if they were still made in Italy. The tread looks cheap on these boots and sometimes they rub the front against the ankle bone. I also have noticed some heel slipping. It took about 6 months for the leather to flex but I was expecting that for a leather boot. I do have to use insoles for a better arch support and finding the right shoe polish for the burgundy color of the boots gave me some headaches as well. But, it was for a good cause. At the end of the day, though, I still like these classic-looking leather boots a lot and I don’t regret any penny spent on them.